Striker for the Polish national football team who began playing with the Italian club Napoli in 2016 after previously playing with Ajax first on loan from Bayer Leverkusen, and then as an official member of the club. 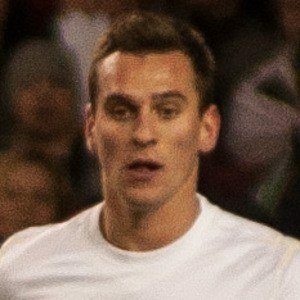 He spent his youth career with Rozwój Katowice, and made his III liga debut in October of 2010 in a win over KS Krasiejów where he scored two goals. He helped take down Germany in a 2016 UEFA Euro qualifying match by scoring the opening goal. It was Germany's first loss in 19 competitive games. He began dating professional model Jessica Ziółek in 2013. His father left when he was young. He can be found alongside Lionel Messi on the cover of the Polish version of FIFA 16.